Dr Jonas is actively engaged in clinical interventional coronary peripheral and structural vascular interventions. He is further actively involved in novel technology device development in various Israeli based start-up projects. Dr. Jonas’s Bachelor’s degree in medical science was awarded with distinction from the Hebrew University of Jerusalem following work conducted in the Department Of Molecular Biology. He received his MD in 1995 from the Hebrew University of Jerusalem, Hadassah Medical School, being awarded the faculty prize for best achievement. 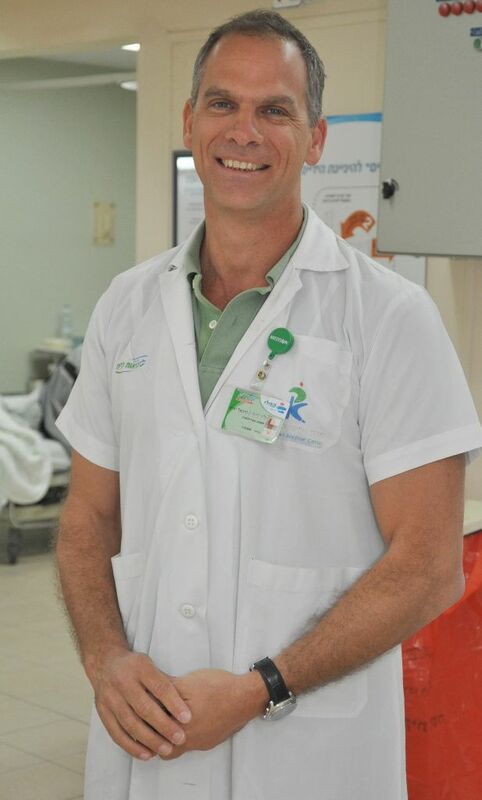 He completed clinical training at the Chaim Sheba Medical Center in Tel-Hashomer and is board certified in both Cardiology and Internal Medicine. Dr Jonas completed post doctorate fellowship in Boston, USA. This included basic vascular biology research at Elazer Edelman’s MIT lab as part of the Harvard-MIT Health Science and Technology (HST) program. Dr. Jonas farther completed clinical training as an Interventional Cardiology Fellow and then interventional vascular medicine fellow at Brigham and Women’s Hospital, Harvard Medical School, becoming fully proficient in both complex coronary and peripheral vascular arterial interventions. Dr Jonas’s Boston experience includes working closely with Drs. Campbell Rogers and Elazer Edelman in various device development and new technology programs, including bench-top modeling, animal studies and FIM human work. This experience has grown significantly since his return to Israel. Dr Jonas returned in 2006 from his clinical training to the position of a senior interventional cardiologist at the Sheba Medical Center in Tel-hashomer, performing high volume complex coronary and peripheral vascular interventions. In 2010 Dr Jonas was recruited to the Kaplan Medical Center in order to significantly advance the interventional program to include complex coronary, peripheral and structural interventions. Dr Jonas is currently actively involved in the Israeli cardiovascular medical technology device development scene both as a consultant and as co-founder of start-up companies in this field. Dr. Jonas has published numerous basic research and clinical cardiology manuscripts in leading peer reviewed journals and presented his work in major international cardiovascular conferences.